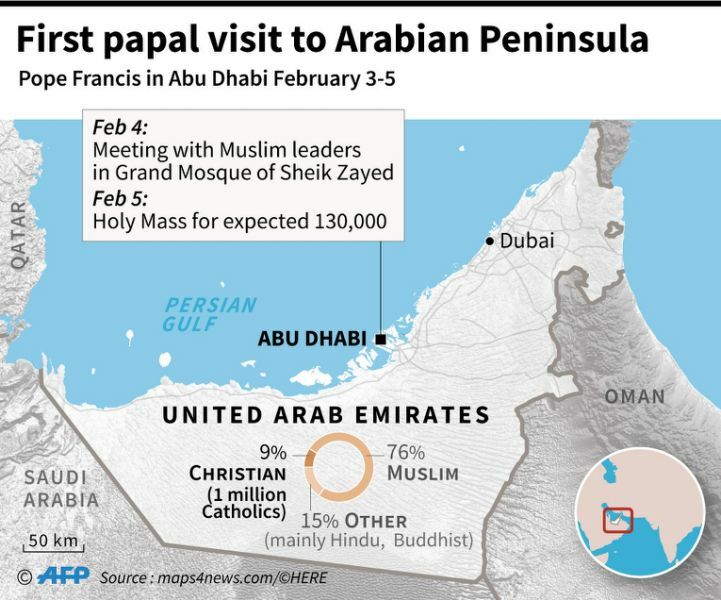 Abu Dhabi (AF) – Pope Francis and a top Muslim cleric Monday issued a joint call for freedom of belief during the first visit by the head of the Catholic church to the birthplace of Islam — the Arabian Peninsula. 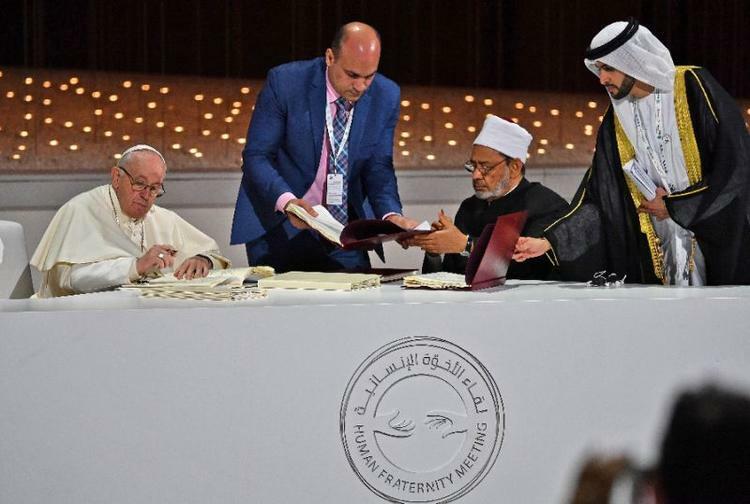 Featured Photo: Pope Francis (L) and the Grand Imam of Cairo-based Al-Azhar Sheikh Ahmed al-Tayeb (2nd-R) sign documents during the Human Fraternity Meeting at the Founders Memorial in Abu Dhabi on February 4, 2019 (AFP Photo/Vincenzo PINTO ). 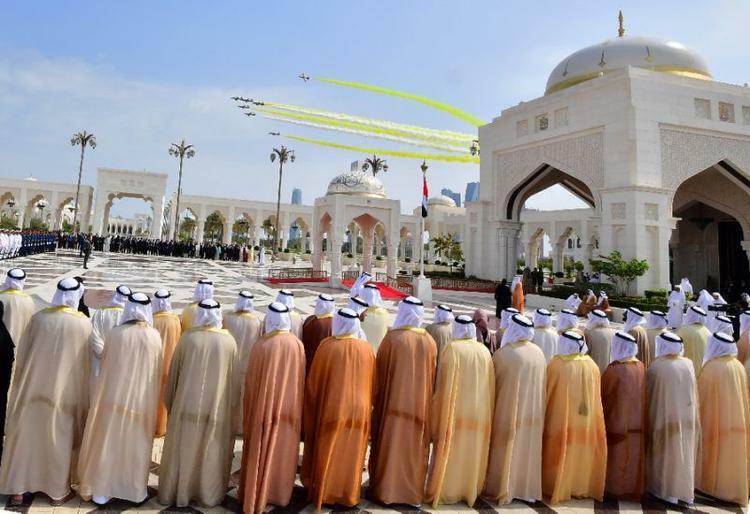 “It is… crucial to establish in our societies the concept of full citizenship and reject the discriminatory use of the term minorities which engenders feelings of isolation and inferiority,” read the document.